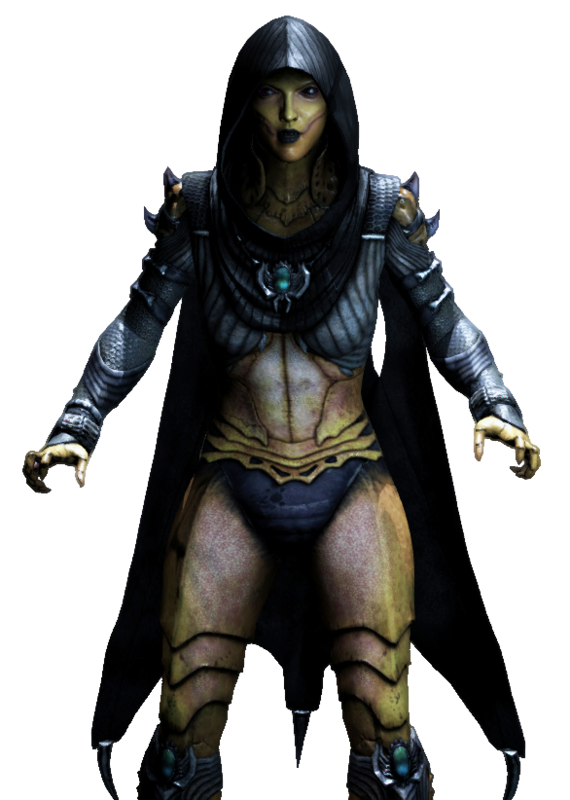 D’Vorah is one of the completely new characters in Mortal Kombat X (2015) and there is more or less nothing known about her beside that she can use her wings to fight as well as various types of insects. 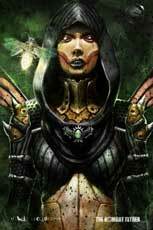 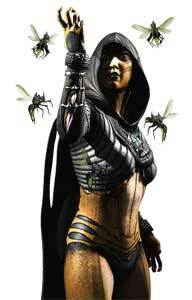 She is called “Bug Lady” by Ferra in their pre-fight intros. 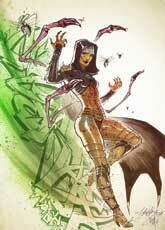 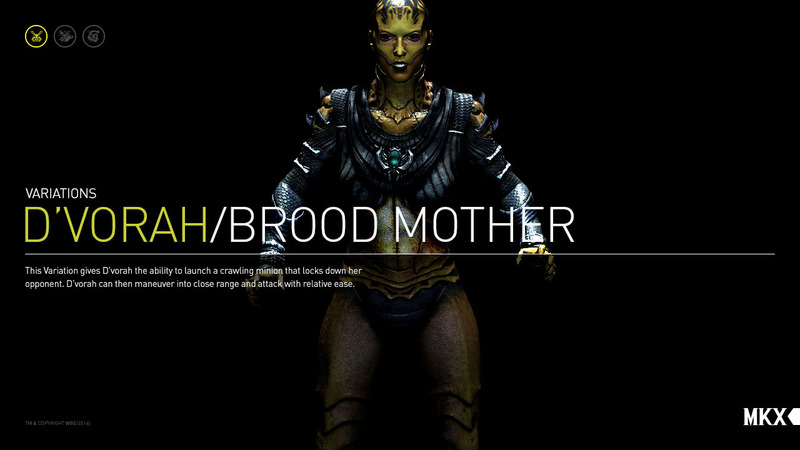 Her three fighting styles are named Brood Mother, Swarm Queen and Venomous. 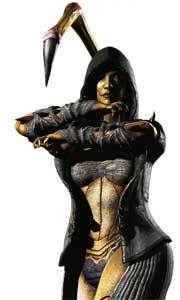 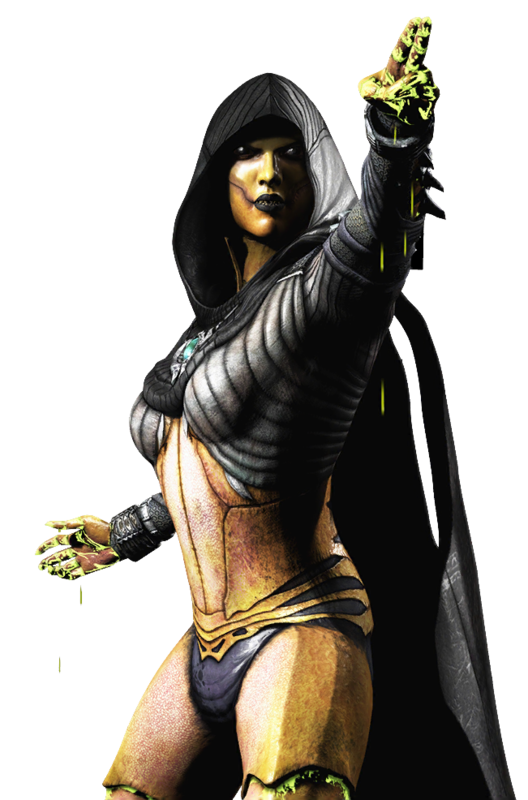 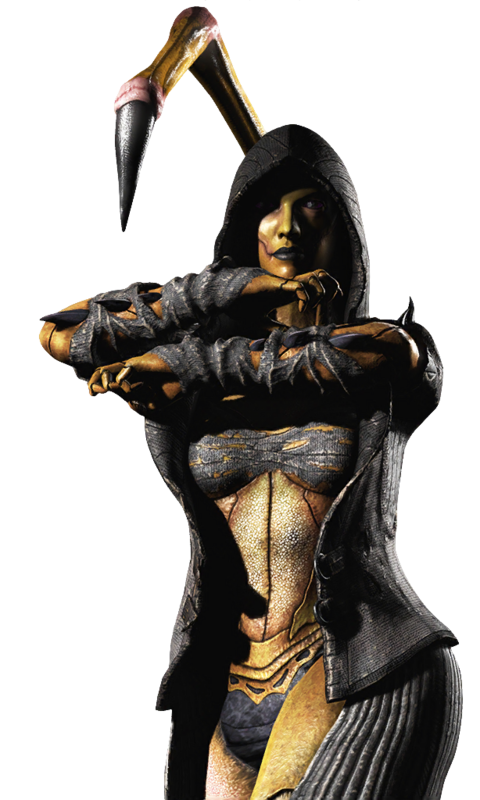 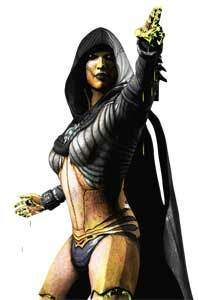 D’Vorah is siding with the antagonists in Mortal Kombat X. 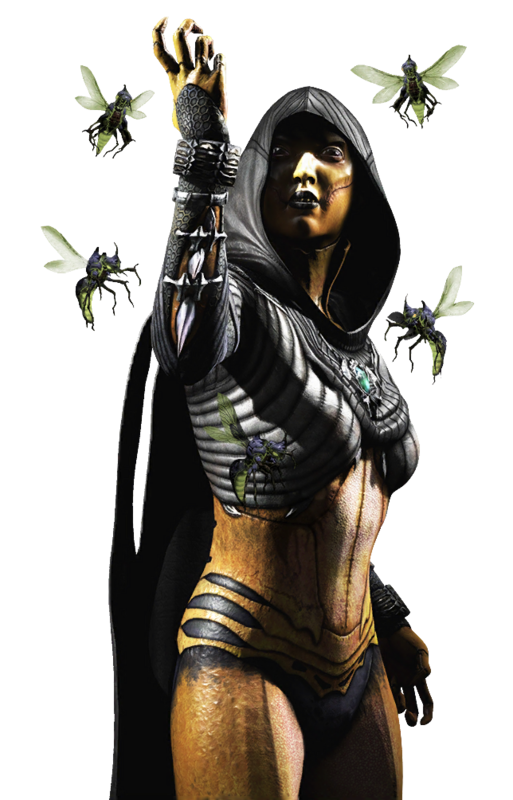 In this Variation, all of D’vorah’s ovipositor attacks poison the opponent and are highly effective for rushdowns. 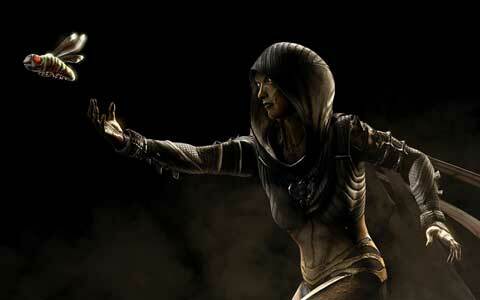 This Variation also allows for better chip damage and tactically matches up well against strong defensive opponents.